This was meant to be a trip to Oklahoma and our first ever Chaser Picnic at Rocky's place. We were then expected to head back home to Dallas. However, as a precaution and noting the distance that could be saved, I advised Matthew that we take enough supplies for a few days chasing. It was great to be at the picnic meeting some infamous chasers including Tim Marshall and Jim Leonard. The footage was excellent to watch. They included the impressive Happy, Texas tornado, and Throckmortan, Texas tornado. Some other footage were the haildrifts of Memorial Day, footage of the tornado at Libscomb which we were also onto and from a similar angle, and past footage that was absolutely remarkable - made me melt when I saw the power in some of the updraughts!!! 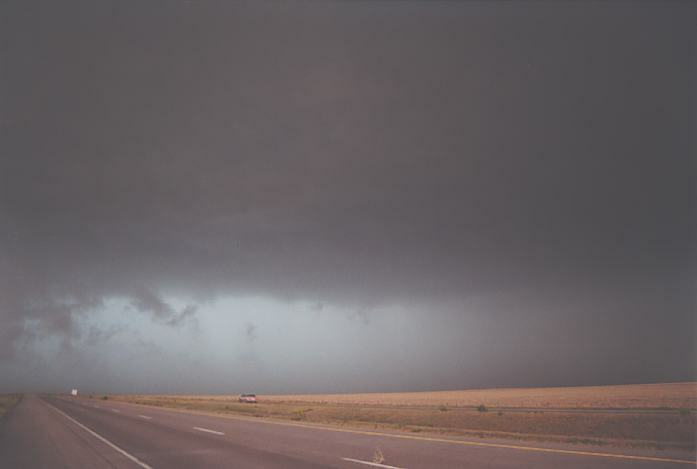 During the meeting, there were updates supplied to a chaser in Wyoming. 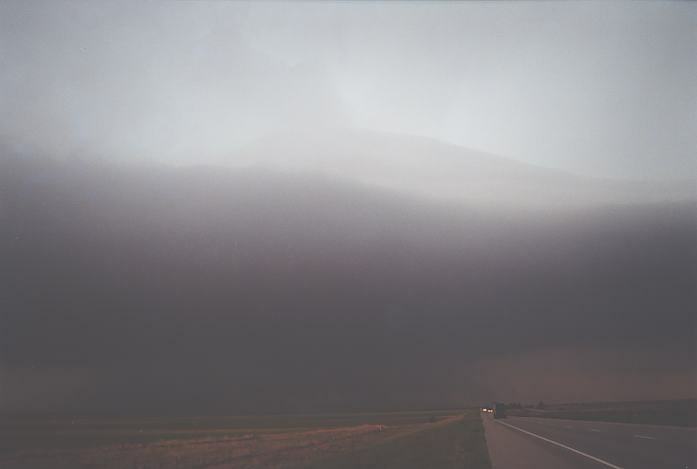 There was also talk of possible severe weather outbreak in Nebraska the next day. We were somehow convinced by the chasers that there was a good likelihood it will occur. I felt it was a very risky bust chase due to the strong cap. There were record temperatures expected and thence a cap could easily develop and hold down activity. Nevertheless we decided to chase. We were kindly offered to stay the night at Rocky's. Considering that we had stayed very late watching videos, we appreciated the offer. As expected, even though we hoped for an explosive atmosphere, the inevitable happened and the classic bust was the result. There were some impressive temperatures particularly in western Nebraska. Quite interesing to note that close to 1000m above sea level, temperatures of 40C and this at a latitude of 42 N - quite remarkable. Admittedly, I was not impressed with the setup for this day. The most favourable overall wind shear was expected near the Kansas - Colorado border. 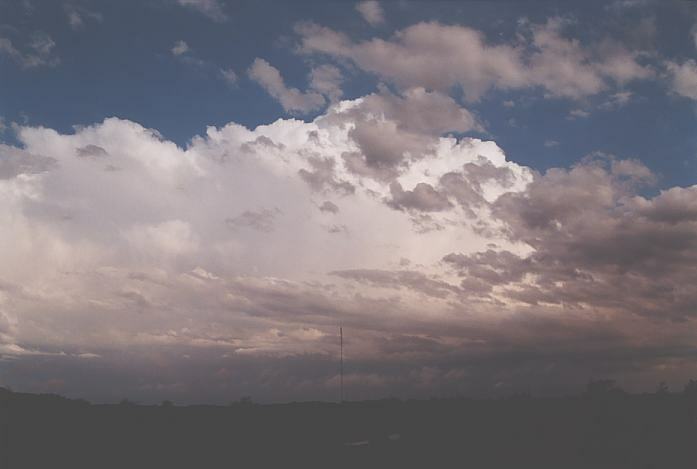 The best instability lay in southwest Kansas but the cap was again very strong to overcome. So the plan was to head west, fuel up and then gradually see what unfolds - more of a tactical chase move than anything else. As we got closer we would then decide the move. This definitely paid off. Making our way to Grand Island and then onto route I 80, we headed west. Initially we had planned to make our way down towards Kansas and Colorado border if need be. But this highway was too tempting with a speed limit of 75mph, and no stoppages, you could make a quicker exit into Colorado which is where I had anticipated the action to develop. 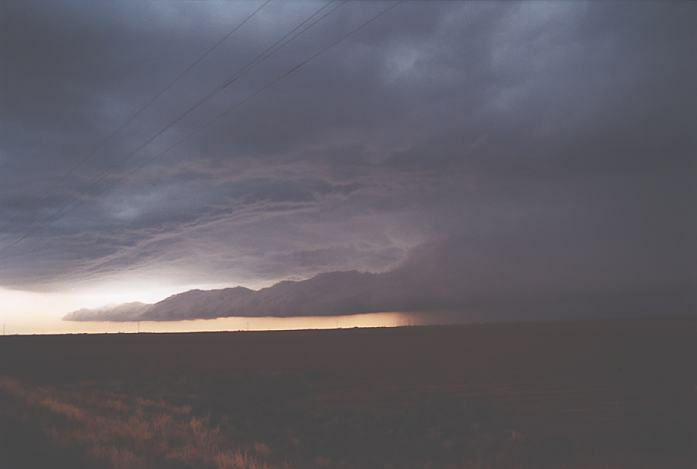 During the early to mid afternoon period, we were in Colorado and what a welcome - Tornado Watch sounded out on the NOAA Radio. I enjoyed the fact that we were at elevations of 1200m and the land was still relatively flat - like being at Oberon (NSW, Australia)!! We were in stratocumulus - though it was breaking and a very thin layer nevertheless. To me it represented a minor cap for some convection to build. The cold front was south of us yet east - northeast winds were being pumped into Colorado. At least the static on the radio verified storms probably severe were already in existance. But which way do we head. It seemed more logical to head west towards clearer air. Finally we stopped at a library in Wray, Colorado. One look at the visible satpic and radar, whilst Matthew checked the warnings. Tornado warning for the region near Limon, Colorado!!! The visible satellite image showed an excellent supercell with right moving capabilities - awesome! That sent me into a frenzy. "Let's go, Matt!!" A quick fuel stop, whilst Matt kindly cleared the windscreen of bugs, and we headed further south and then west of Idalla. Finally the haze gave way to a massive anvil directed northeast for as far as the eye could see. The storm was moving about 25-30 miles per hour east. We again headed south of Cope after some video of the anvil. Finally enroute 59 towards I 70 - junction near Selbert. The skies were darker to the west. The storm was now approaching at 35 miles per hour but only had hail in the warning - the size of golf balls for our County. I figured it would not be long before we intercepted the supercell with a speed limit of 70mph. And what an awesome site it was when the base came into view. 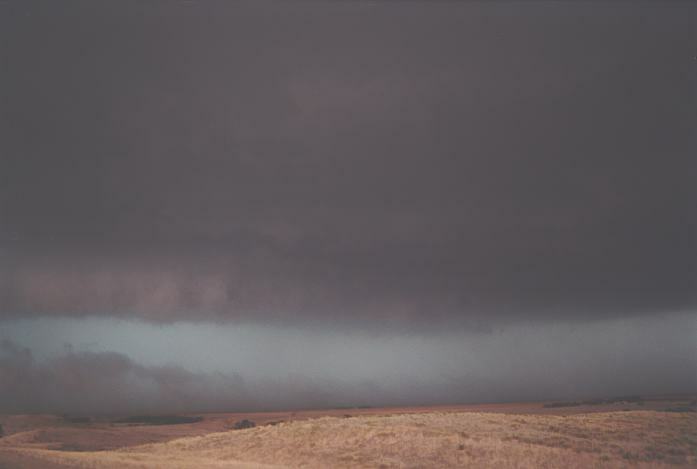 You could see the intense green tinge, hail shafts and scuddy shelf cloud - typical of a HP (High Preciptation Supercell) structure. The inflow had been quite fresh into the storm from the northeast especially nearer the storm but now was increasing. 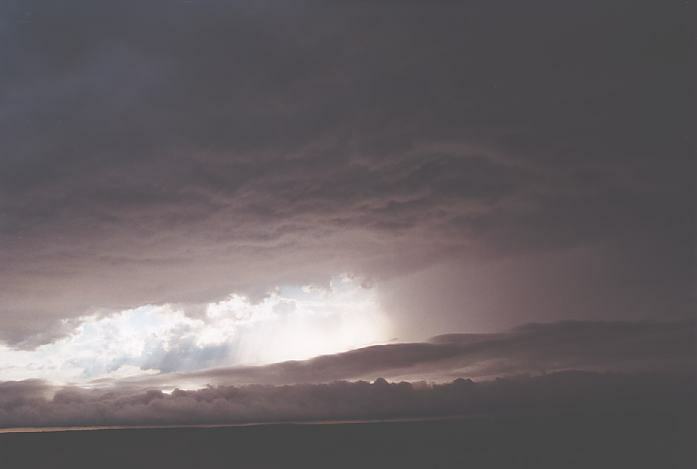 The precipitation was directed inwards towards the main precipitation core. That was where the mesocyclone was. 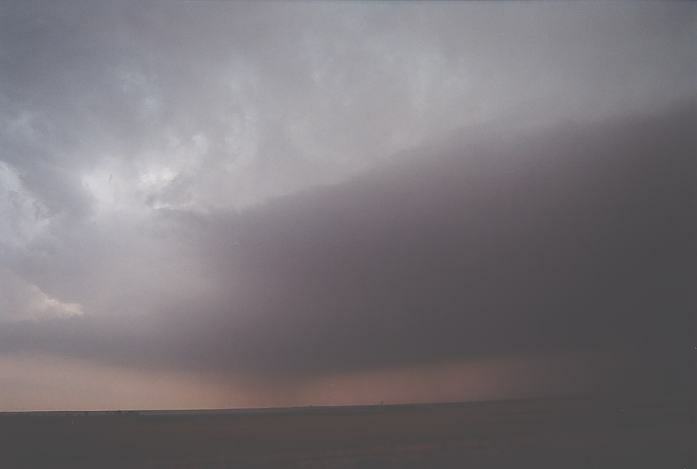 The inflow notch was clearly visible. We stopped just short of the storm with a good view, probably around Flagler which was a town west of Selbert. Just before 4:30pm, the storm neared so I decided it would be a better idea to be on the other side of the highway so crossed over. Being only there shortly, hail began to fall so I got in the car. I called out to Matt to get in, no answer. I persisted in asking until I heard "Ouch", and he got in alright! I filmed a little of the hail before heading further along to the overpass. Cars were parked there but only smaller hail were falling but soon after, larger hail to golf ball began to pound the vehicle. With the storm rapidly moving east it took a couple of minutes to get out of the effects of the hail. They certainly made some nice sounds with the windscreen. Finally, well ahead of the storm, we made parked near an overpass for a better view of the storm. Other chasers arrived soon after including a few chasers who were at the Chaser Picnic. One of the chasers quickly told me that a tornado warning had been just re-issued for the storm. Wow!!! At least we were in position for this tornado warning. 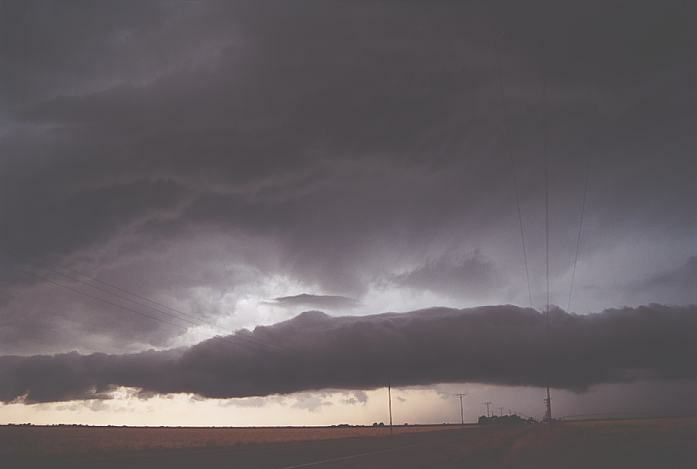 It was a concern that the storm was HP and also the main region of rotation was on the southern part of the highway. It was obvious the storm had gathered strength from the increased inflow. Precipitation curtains were leaning inwards towards the mesocyclone. We decided it was better heading further east particularly in the hope of finding a better road south. 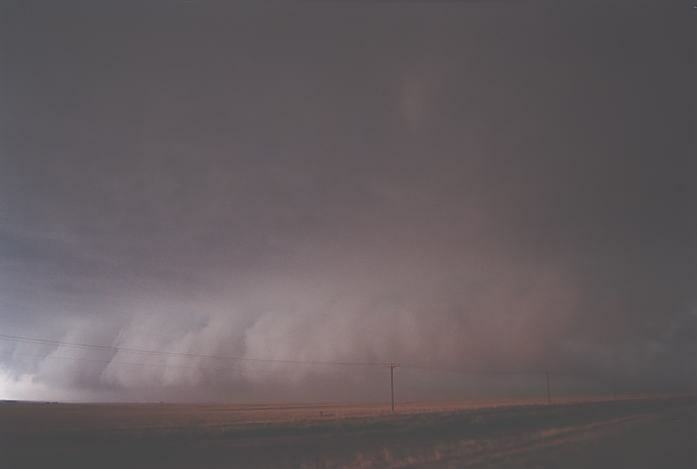 There were a few stops that yielded interesting observations such as dust being blown out by outflow but being drawn into the inflow of the forward flank downdraught and associated shelf cloud. The inflow notch region was well developed yet we could not make out any tornadoes. 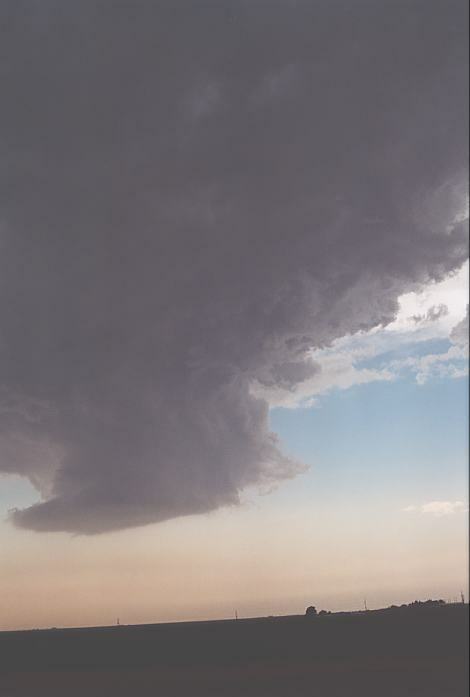 The storm definitely was rotating though with several inflow bands observed. Just before the storm began a weakening trend, it displayed a nice bell shaped updraught. Inflow began to decrease and the storm finally weakened showing the trend to move with the mean wind flow of the day - genrally northeast. Not a bad day for a post frontal up slope flow situation. Matt and I decided to get as close to the cold front as possible for the next day's chasing. We ended up staying the night at Garden City, Kansas. There had been overnight storms that apparently dumped small hail and of course lightning. The internet at Garden City was not available and then at Liberal, the internet was also not available. What a disaster for planning purposes. Luckily, the kind librarian phoned the local college and directed us ("storm chasers") there to use their internet. The suspense always kills a chaser knowing where the next target would be.... and this was no exception!!! First, I gathered the target would be near Amarillo / Lubbock to New Mexico. Second, the damn cap was too weak!! I was astounded to think that two days in a row, the cap was extremely strong and now the storms were already firing - during the morning. I felt disgusted since I had to agin drive a fair way with the chance of missing earlier action. A mesoscale discussion suggested that the next couple of hours would see action over the region west of Lubbock. This action was simply too early. Numerous storms were expected which I agreed with particularly northwards but a better profile existed further south in less favourable windshear. The models suggested that the shear would become more favourable further south of Childress during the evening hours. 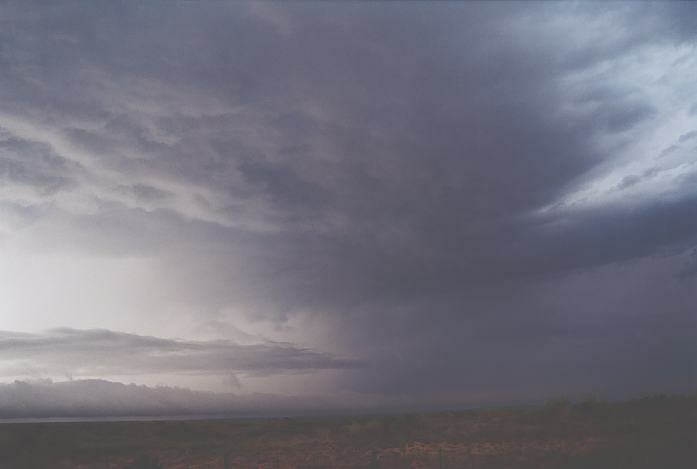 A dry line was expected to develop just east of the New Mexico border. The cold front situated near of Amarillo was expected to move slowly further south during the afternoon. It was already around midday when we left Liberal for Amarillo and Lubbock in the hope of intercepting a supercell despite being late. After some heavy rain from the numerous storm activity, we headed towards Pampa - Matt's last chance to observe the infamous (tornado 1995) town. We also made our way 'backwards' through White Deer (and back-tracked in time the path of the major tornado from 2001 David and I intercepted), and also Panhandle where it began. Finally, we made it to the eastern outskirts of Amarillo. Anvils in the distance certainly boosted our hopes of action further south. Filming mamatus just south of Amarillo, it was clear that our destination was the Lubbock region. It was a humble experience to pass through the town of Happy that was unfortunate to receive fatalities from a tornado on May 5 2002. I filmed some of the remaining damage on the southern outskirts of town. Scanning the frequencies on the NOAA radio, we found we were in a tornado watch area. 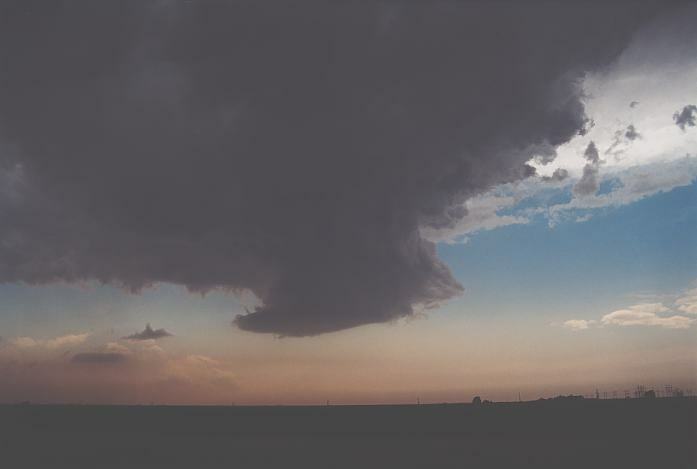 We saw a cell to the west and knowing that it was near the dryline, I was interested in seeing if it was an LP supercell. Heading out west still short of Lubbock, it became clear we were headed to a nice little LP supercell as anticipated. I was a little confused though: the inflow was from the south into the western side. 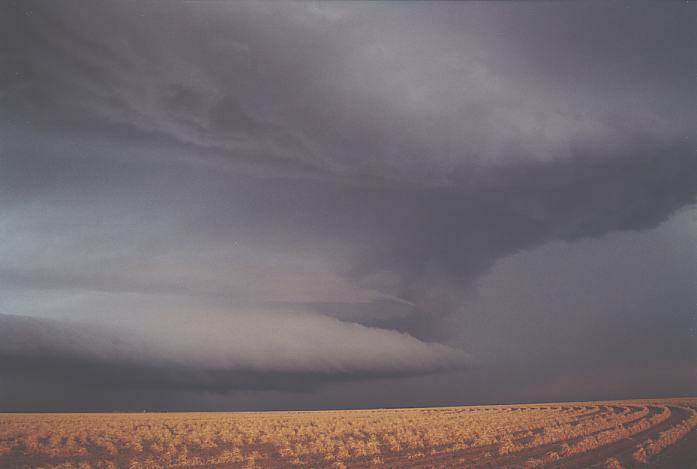 Hmmmm another aussie LP supercell. We photographed and filmed this near Hart about 4:00 - 4:30pm. Matt was now tuned in on another warning for base ball size hail from a storm originating near Lubbock headed for Floydada. We took the road southeast towards Floydada. We heard that this storm had already passed through and we had missed it (my fault wanting to get the LP). I noted that the strcture seemed to indicate a weakening trend and the next warning downgraded the hail size to golf ball. Of course a flash flood watch had also been issued for the whole region since storms had dumped 75mm of rain and other storms were passing along the same path. What was happening was a pattern of slow moving storms accelerating as they moved northeast from the triple point. Storms were travelling at 10 miles per hour and then accelerating to around 25 and even 30 miles per hour. Just before the Floydada region, I asked Matt to search for an ideal road south. I suspected that beyond the rain was some structure. It was probably just after 5:00pm. Heading south was interesting with water filled fields. I had told Matt to watch out for water over the road as a pre-caution. It was inevitable though and we hit a shallow water course... simply did not see it!!! We aqua-planed straight though and came out untroubled. From here on, we were more watchful. We even passed through a low fog and more water - quite spectacular. Then suddenly - damage! I assume it was strong straight line winds and giant hail damage. 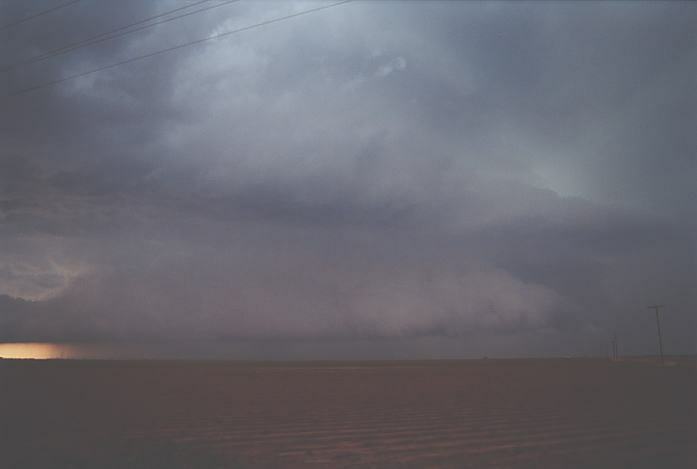 (Al Moller was reported to have observed a tornado in this storm whilst chasing that storm but at this stage I don't know where it was reported to have occurred. It seems the damage we had was from straight line winds and not the tornado). Further down the road, and structure began to finally appear on the southern part of the storm. On the final run to the storm, we were blown away by the incredible hollow region and a detached cloud band leading out from the mesocyclone. Simply awesome structure!! The inflow was quite fresh to strong and also pretty cool blowing over the surface water. I went to put a jumper on then remembered, I didn't have one...nice one!!! The storm was rapidly approaching so inevitably, we repositioned ourselves on an east road escape route. The seriousness of this storm was revealed by the next warning where hail the size larger than base balls could be expected with this storm. Matt wanted hailstone footage and knowing that this storm was not exibiting the greatest rotation, we headed for Floydada. It was about 6:06pm when we heard the warning state the storm would be in Floydada at 6:10pm. We were almost there but the storm seemed further away. Then "Bang...." The sound of a giant hailstone hitting the car roof. Images of a wrecked car an cracked windscreen immediately flowed through my mind. There were smaller hailstones say up to golfball size falling so I didn't think much of it. Then another bang. And another [luckily] splattered on the windscreen. Matthew got the sound of the other two giant hail thumps on video. The largest hail seem to have been left behind once in Floydada so we seeked shelter - ummmm at a Dairy Queen. Hailstones once again fell in torrents around the vehicle perhaps about the size of golf balls or some slightly larger. The ground had good cover within 5 minutes but hail size observed falling decreased with time before rain dominated. 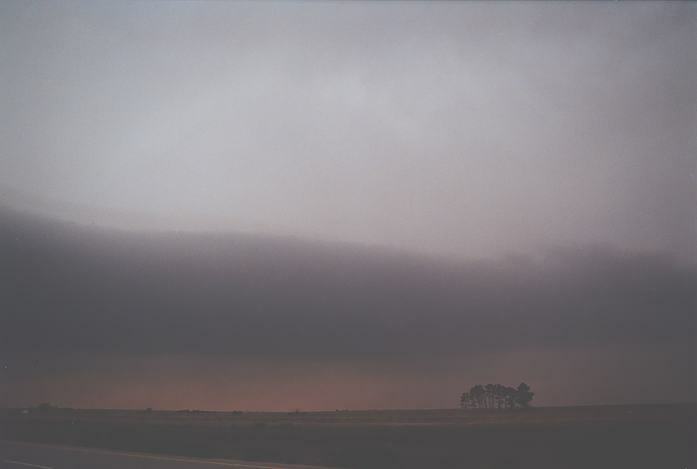 About 6:30pm, we were headed east once again and soon found ourselves in hail territory. It was obvious that the storm had lost its punch and weakening rather rapidly. Then right in front of us appeared a Doppler on Wheels vehicle, scanning the region. Certainly added a little more excitement to our last day's chasing. We stopped for a rest and watched the storm lose more of its impressive structure. More storms were developing in the region to the east and southeast. One storm well to the south demanded attention with backsheared anvil. 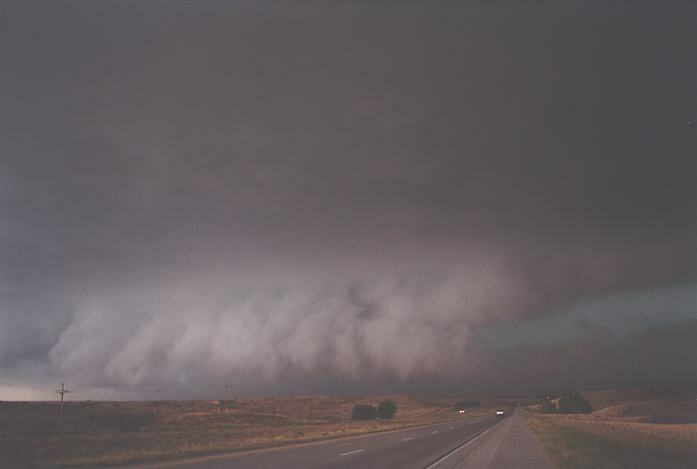 We were heading east at this stage but it was almost impossible to head south to gather these storms in time. Still some distance away from Vernon, I noticed a storm with nice rear flank downdraught. I asked Matt for hsi feeling on heading south towards the Throckmorton area. He declined and we both thought it was getting late. Vernon was a better choice for accommodation. After dusk, we arrived and booked a hotel. On goes the Weather Channel and what was being talked about? A tornado warning for the Throckmorton region after a tornado had been reported on the ground and rotation in the storm was still impressive. We were cheesed off a little but no use crying over split tea. We certainly ate well that evening with Mexican on the menu. Back at the hotel and Weather Channel, another storm had developed in the panhandle region and was rapidly heading east. The storms amalgamated and gave us a reasonable lightning show plus some close heart-stopping bolts. The next day, we were in cold post-frontal air. Storms had been expected further south and eastern Texas but I was not impressed with the models. So wanting to do a few last minute stop overs, we called this the end of the trip. We left Dallas on the 7th June 2002 and arrived back in Sydney 9th June 2002. This season turned out to be relatively very poor with regards to tornado reported touchdowns particularly during the time we were there. It was therefore great to have been able to get two tornadoes of one which was multivortex. Added to that, it was the first of the HP type tornado and it occurred on the northern side of the rotating storm. Matthew also will treasure this tornado in particular. 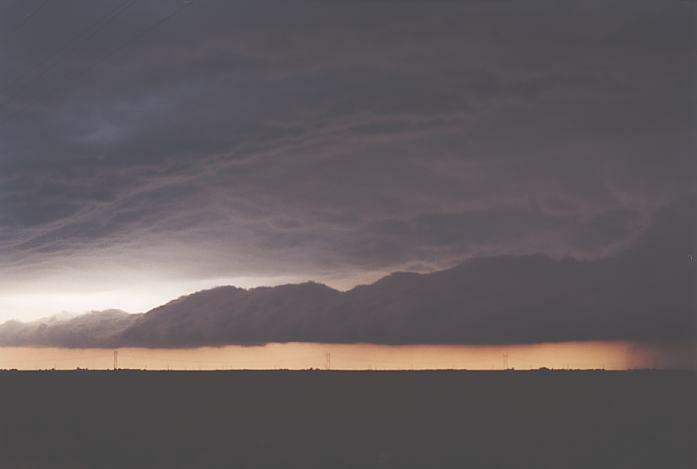 In regards to storm structure, I appreciated the well organised and long-lived nature of supercells along the dryline that can only be attributed to deep layer shear. We were fortunate enough to be intercept LP supercells which were reasonably impressive. The very long inflow band though of one of the LP supercells will be edged in my mind. Pity we were not able to get to it. All in all, we intecepted many supercells over the time we chased. We only were involved in two busts although one was known and really just getting ourselves into position for the following day. We travelled 8600 miles and covered the 5 states: Texas, Oklahoma, Kansas, and later Nebraska and Colorado. It was a relief when I knew I was going and really enjoyed the trip. But really, I wanted to go from the 1st May onwards which would have given us a chance to intercept the 5th May tornadic outbreak near Happy northwestern Texas. It was great to see we were on the whole organised for the trip and more familiar with the roads and where libraries were. As a result of September 11th 2001 attack on the Twin Trade Towers, it was obvious the security would be tightened. This was evident on the trip to and from the United States and also in the country itself. Nevertheless, I will be back financially permitting.